This course serves to guide developers/instructors at Duke-NUS in design and implement their courses in Brightspace. 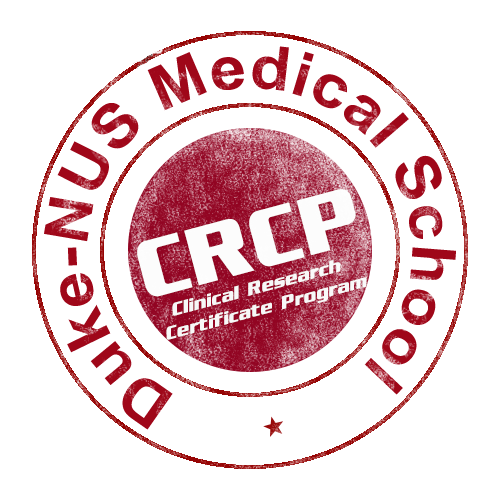 This course is open to Duke-NUS medical students or continuing education students to familarise with the learning environment of Brightspace LMS. Through this Graduate Certificate Programme we aim to equip working professionals like yourself with updated scientific and regulatory knowledge and critical skills through application-based learning. The skillsets gained through this programme will help you assume diverse roles requiring regulatory science expertise within the public and private sectors. This is a 3-day foundational course, designed especially for doctors across all settings. This course covers the basic principles and practice of palliative medicine. The trainers in this course include experienced doctors, nurses and allied health professionals from the palliative care field. For more information, please contact us at lcpc@duke-nus.edu.sg or visit our website at https://www.duke-nus.edu.sg/lcpc/. This is a basic certificate level course, designed for community nurses.For more information, please contact us at lcpc@duke-nus.edu.sg or visit our website at https://www.duke-nus.edu.sg/lcpc/. This is a comprehensive certificate course, designed especially for in-service pharmacists. It comprises two parts; Part 1 covers the foundational principles and practice of palliative care while Part 2 moves on to advanced-level topics. For more information, please contact us at lcpc@duke-nus.edu.sg or visit our website at https://www.duke-nus.edu.sg/lcpc/.